The third season of the FIA Formula Two Championship kicks off at Silverstone this weekend. In an attempt to boost its standing in the competitive junior formulae market, series director Jonathan Palmer has made a range of changes to the organisation of the series. The championship is no longer a support category to the World Touring Car Championship, instead having its own calendar, which features five current Grand Prix venues in an attempt to increase F2's relevance to aspiring Formula 1 drivers. The track time at each round has also been increased. The television coverage has also been improved to ensure more exposure for the championship and its competitors. All races will be broadcast across Europe on Motors TV. The 2011 grid boasts a mix of drivers returning to the series, drivers continuing in the series as well as a handful of newcomers. All will be looking to follow in the footsteps of previous champions Andy Soucek and Dean Stoneman and get their hands on the prize of a Williams Formula 1 test. There are three drivers returning to F2 after a year away. Two of these, Mirko Bortolotti and Tobias Hegewald, were amongst the frontrunners in the inaugural season, and then tried the new GP3 Series for size in 2010. However, both had disappointing campaigns in the GP2 feeder series, finishing 11th and 22nd respectively in the final standings. Both have chosen to return to F2, aiming to win the title and get their single-seater careers back on track. Another man returning to F2 is Alex Brundle, the son of former F1 driver and now BBC commentator Martin. Alex only managed to score points on two occasions in 2009, so switched to British F3 for 2010. He didn't enjoy much success there either though, so has decided to return to F2 for this year. He has been regularly setting the pace in winter testing, so should prove to be a title contender. Also topping the timesheets throughout winter testing was Jack Clarke, who is embarking on his third F2 campaign. His experience in the series, combined with the pace shown during the off-season, means Clarke is amongst the favourites for title glory. Another driver back for a third consecutive season of F2 is Armaan Ebrahim. The Indian showed flashes of speed during 2010, particularly at the season finale in Valencia. He should be a regular contender for podiums this time round. Tom Gladdis is also set to race in F2 for a third season. He was restricted to just three events in 2010 due to funding issues, but was quick when he did compete – including at Brands Hatch where he scored a podium finish. He has spent the off-season recovering from a serious foot injury that resulted in the amputation of three toes on his left foot. The fact that he hasn't driven an F2 car since last August will leave him needing to get up to speed during the opening rounds. A number of drivers are staying on for second seasons in the category. Of these, Will Bratt finished furthest up in last year's standings. 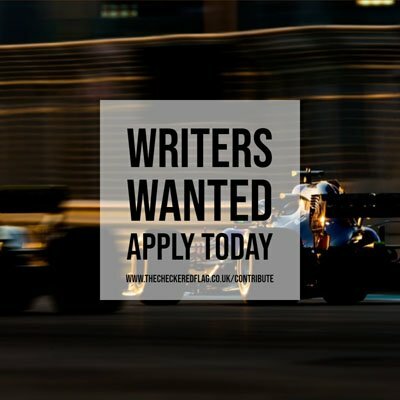 The Briton, who will continue to write his exclusive blog for TheCheckeredFlag.co.uk this year, is aiming for the title after ending his maiden season in fifth position. Other drivers entering sophomore campaigns include Mihai Marinescu, Kelvin Snoeks and Benjamin Lariche – all of whom bagged regular points finishes last year and will be looking to feature towards the front of the field. Spaniard Ramon Pineiro made his F2 debut at the final round of 2010 at Valencia, and the Formula Palmer Audi graduate has been amongst the frontrunners in winter testing so could be a contender for wins. Brothers Julian Theobold and Johannes Theobold have both committed to full seasons after joining F2 towards the end of 2010. Indian racer Parthiva Sureshwaren, Polish lady Natalia Kowalska and Bulgarian construction magnate Plamen Kralev also continue, but don't expect to see them towards the front of the grid. Of the rookies for 2011, Miki Monras brings perhaps the most promise – and is most likely to challenge for the title. The Spaniard has made the switch from GP3, where he scored two podium finishes in 2010, and topped the timesheets at the final F2 test at Snetterton. Christopher Zanella joins following seasons in Euro Series and Italian F3 and will be amongst those fighting for race wins. Another driver moving from F3 is Max Snegirev. The Russian's results from two years in British F3 do not stand him out as one to watch, but he has been much closer towards the front in winter testing and could be a surprise package. Also joining from British F3 is James Cole, who was also mixing it with the frontrunners in testing. Jose Luis Abadin completes the F3 converts, having raced in the Spanish/European Open series for the past three seasons. 18-year-old Mikkel Mac is the youngest driver in the field this season. The Dane makes the step up from Formula Renault, where he finished second in the Northern European Cup in 2010. Fellow ex-Formula Renault racer Thiemo Storz joins the series after a one-off entry into Formula Palmer Audi last season as he completed his schooling. South Korean Sung-Hak Mun completes the capacity 24 car grid, joining from Formula BMW Pacific.